Whilst waiting for your commute to reach it's terminus, you reflect on the news of the day. Spread the word and smash the state in this stealth adventure game. Yeah, it's a shame. As always, by the time the jam was over, I'd built enough systems and nailed the workflow to create more levels. Shame! Yeah, this was actually a last minute change (it used to be on a separate button) so I feel that I didn't exactly relay the information to the player. I'd like to add a more interactive tutorial in the future. Their exaggerated animation is a holdover from the Saturday when the game looked a little goofier and far more retro - by about midnight on Saturday I realised that creating sprite animations was going to take me too long, so I went for a cleaner, abstract approach. But yeah, that's why the swinging is a little janky. For fun, here's a screenshot of what the game looked like by the end of Saturday... I changed direction a lot on the Sunday, huh? +1 for locking the cursor to the game window! 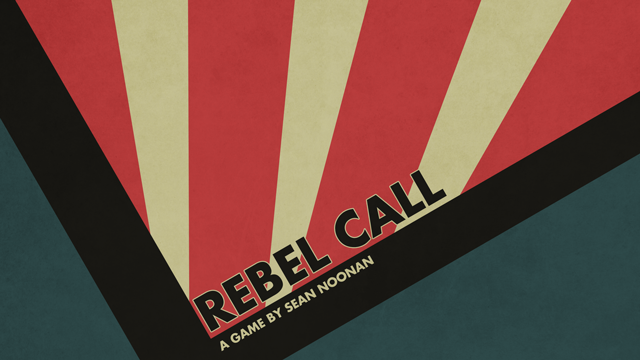 Rebel Call is a simple little top-down, stealth/adventure game set in an authoritarian city. Your job is to spread the word and fuel a rebel uprising to smash the state and free the people. By revealing your identity as a rebel, you are exposing yourself to the authorities. Here lies the complication; the citizens are fickle souls, and if you don’t keep them reassured, they will turn you in to the state. Therefore, your mission is to spread the message with all of the citizens in a district without any losing faith in your message. Impressive! I was a big fan of the reload mechanics. Very cool. A simple idea, but executed really well - it's a tight mechanic. The aesthetics are unique and there's an impressive amount of content to boot. One of the best I've played this jam. Good work! Yeah, it was definitely meant to be an introduction level. The eye ball "boss" was meant to be a standard enemy - I just buffed the health to give the game more of an ending. 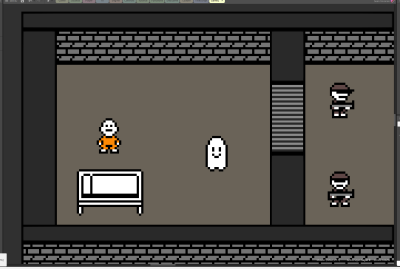 Pyxel Edit is great for animation, but I still use Photoshop for mockups and anything that isn't just single assets. For this jam I used a mix of Pyxel Edit and Photoshop CSS. I've actually used Asesprite for some previous game jams, but I always come back to Photoshop, and recently have started using Pyxel Edit for animation. Our entry was Global Defense Corps - we were only able to work on it for 3 days so it's pretty small, but I did get to timelapse some of my pixel art. Enjoy.